Nearly 90 percent of voters in the eastern Ukrainian region of Donetsk voted for self-rule, the head of the separatist election commission said on Sunday. 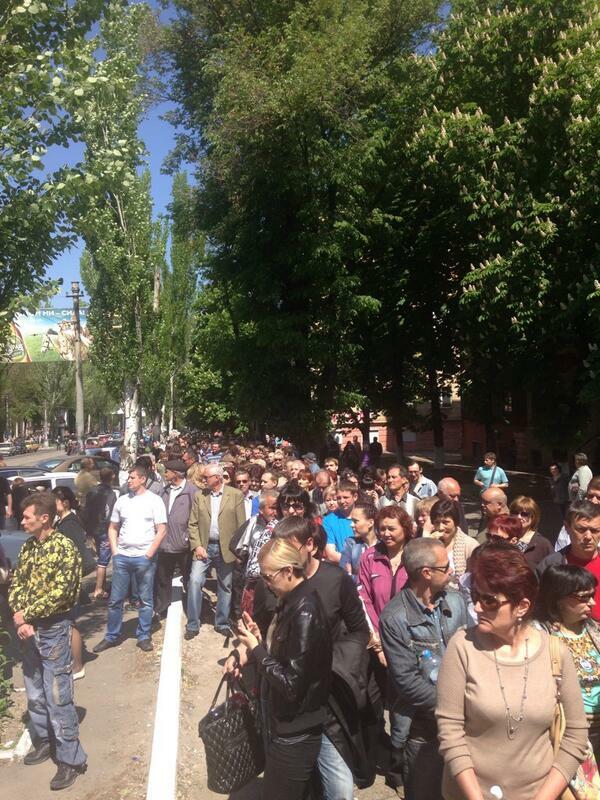 Voters in the region queued for hours to cast their vote in one of only four makeshift polling stations in Donetsk. The ballot papers also caused confusion as some said their "yes" vote meant independence, while others interpreted it as eventual union with Russia. Donetsk is the larger of two eastern Ukrainian regions where separatists held a referendum on self-rule, declared illegal by the pro-Western government in Kiev. On the edge of Slaviansk, fighting broke out around a television tower shortly before people began making their way through barricades of felled trees and machinery for a vote the West says is being orchestrated by Moscow. The Ukrainian Defence Ministry said one serviceman was wounded. A man was later reported killed in a clash in the eastern town of Krasnoarmeisk, Interfax-Ukraine news agency said, adding to a toll so far in the dozens but creeping higher by the day. The so-called referenda in ... parts of the Luhansk and Donetsk regions were illegal and we do not recognise the outcome. Those who organised the referenda have no democratic legitimacy. Western leaders have threatened more sanctions in the key areas of energy, financial services and engineering if Moscow continues what they regard as efforts to destabilise Ukraine. The European Union declared the vote illegal.